Kim Davis has lived in Arizona since she was 15 years old, and she has worked as a paralegal for over 5 years. 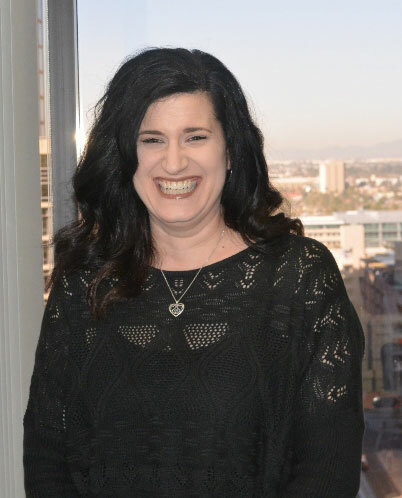 Prior to becoming a paralegal, and while she attended Arizona State University, Kim knew that her career would be aimed in the direction of the law. Her organizational skills make her an essential member of the Black Wynn team. She works hand in hand with the attorneys to provide whatever assistance may be necessary for the firm’s clients. Kim also has excellent communication skills, and she uses them to assist clients in navigating through some of the confusion that arises during the course of a personal injury case. As the firm’s office manager, Kim has additional responsibilities above and beyond those involved in her work on personal injury lawsuits. Her responsibilities include the overall functioning of the office, with all that it entails. Kim is also a wife and the mother of three teenagers. She believes that quality time with her family is of paramount importance in her life.